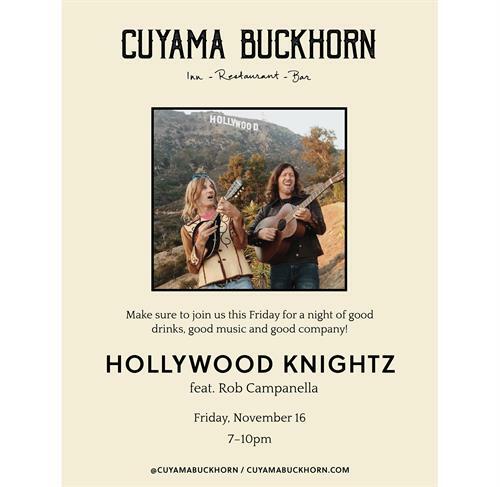 We’re thankful for our great music and amazing audiences — keep your Thanksgiving festivities going for another night with some back-porch picking, old-time folk brought to you by Hollywood Knightz! Show starts at 7pm and good times go all evening! Rob Campanella is a musician, best known as a Los Angeles producer, engineer, and member of The Quarter After. Rob has produced and engineered albums for his own band The Quarter After, and for clients including Brian Jonestown Massacre, The Tyde, Beachwood Sparks, Goldrush, Dead Meadow, Mia Doi Todd, The Morning After Girls, and Scarling.